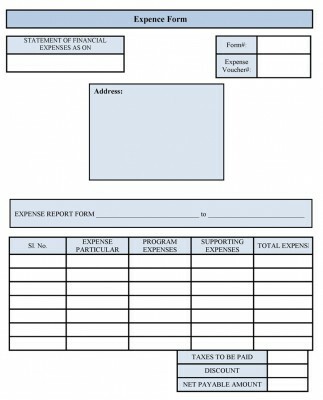 The Free Expense Form is a form which contains the details of expenditure within a company. 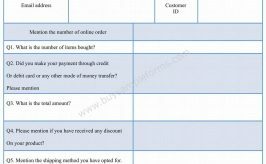 This type of form can be used to record different expenses such as travel, seminars, training programs and other expenses incurred in day to day functioning of a business. 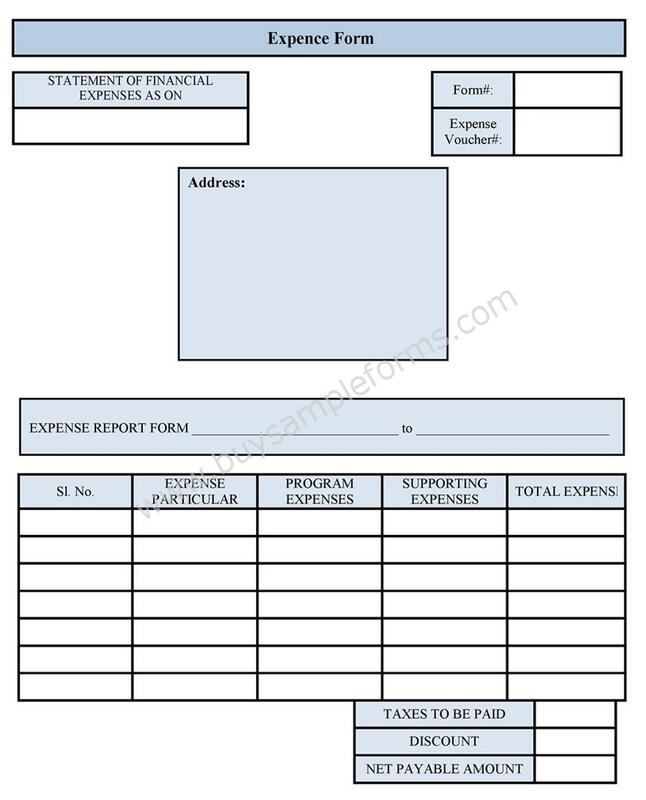 An Expense form ensures that the company’s money is not spent on unnecessary expenses and details of expenses are accounted in the form. The form should be spacious and the details of different expenses should be segregated accordingly. 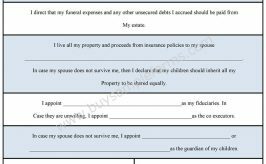 The form should be prepared in a flexible manner so as to include the different kinds of expenses that can arise in a business. 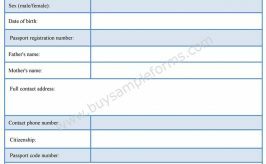 An expense form must be detailed and uniform so as to make comparisons at different time periods. 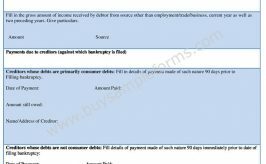 The form is also necessary to keep a record of the cash inflow and cash outflow and regulate funds accordingly to the requirements of the company. Below is a sample free expense form. Download online sample free expense form available in either MS Word or PDF format. Easy to use, edit, customize and print as required.